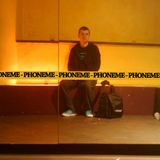 DJ Phoneme, in business since 2003, has delighted audiences in many cities, with appearances on a large number of festivals and parties of its kind in Romania and abroad (Netherlands, Italy, Bulgaria). compromise, mixing breakbeat and dubstep, to jungle and drum & bass. In 2008 and 2009 he hosted a weekly show on BreaksFM radio (UK), and his mixes were broadcasted by radios like iBreaks, Digitally Imported, PlayFM or A-Plus. Scarcity Records, founded by renowned local producer Mesmer. In 2010 he decided to deal exclusively with the sound preferred by establishing own label, Hibrid Records.